When I found out the groom and groomsmen were going to arrive at the church by tractor, I knew this would be a special wedding. From the traditional service at the priory all the way up to the ceilidh band in the evening it certainly was a day to remember. I’d like to thank Hannah, Matthew and their families and friends for making me feel welcome and allowing me to create a wedding video their big day. 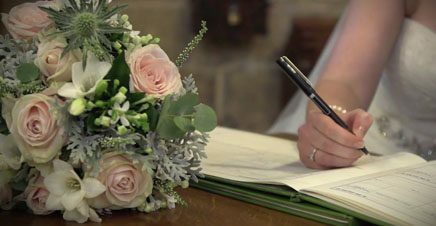 A Wedding Film from Bolton Abbey Priory and The Devonshire Fell from Yorkshire Wedding Videos on Vimeo.